This river Rur flows into the river Maas and must not be mistaken for the big river Ruhr elsewhere in Germany. The line, also known as the Steuben-Volker-Schenkendorf-Stellung, can be found on the German border near Herongen until Wassenberg both in the Dutch province of Limburg. Some objects lie in the Netherlands, other in Germany. The defence line was ordered in August 1944 and was considered to be an addition to the old Westwall. Tobruks, trenches and a small tankditch were constructed here. Several of them have been demolished, others remain as ruins. A next trip will bring more information. All pictures by Ruud Murk, 2016. 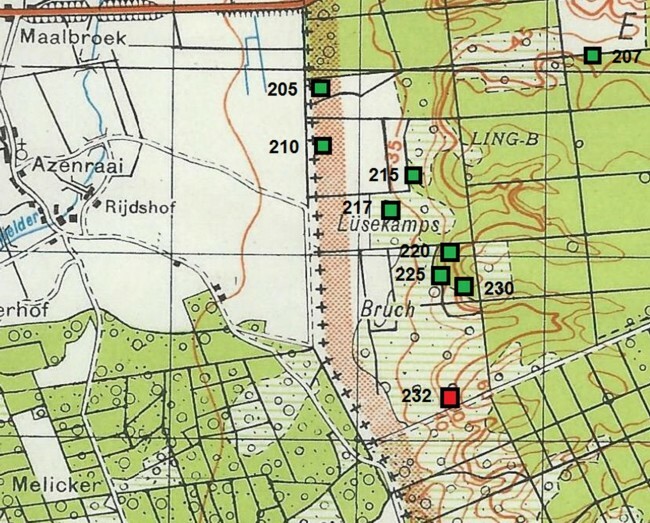 Maps: www.roermondinoorlog.nl. The informationpanel shows the locations of the part near Beesel. 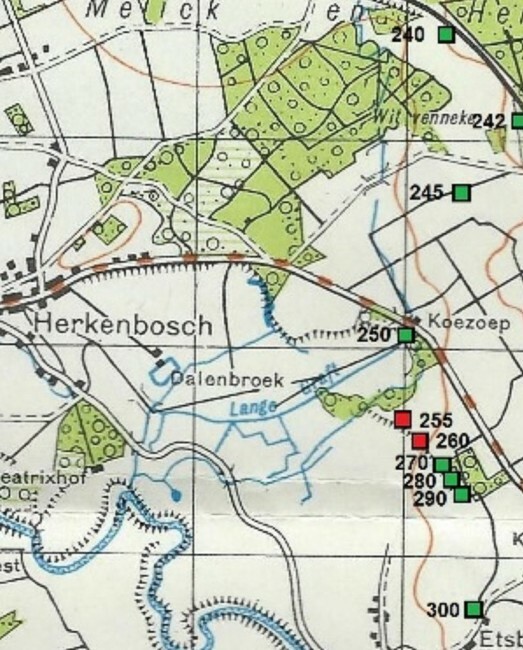 The map with the locations near Maalbroek. And finally the locations near Herkenbosch.